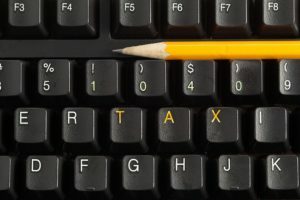 For many American expatriates living in foreign countries like China, Brazil, Israel, Saudi Arabia, the United Kingdom, and many other nations filing taxes is a complex and anxiety-inducing experience. There is a good reason why U.S. taxpayers living abroad frequently face greater complexity than taxpayers living at home. Expats often have multiple sources of income –often including both domestic and foreign income – and may also hold foreign accounts, trusts, or have control over foreign entities. Thus, U.S. citizens living abroad and other individuals with U.S. Tax obligations frequently face a confusing web of obligations and forms they must file. In many cases, foreign accounts must be reported on multiple forms to maintain compliance with all tax obligations. 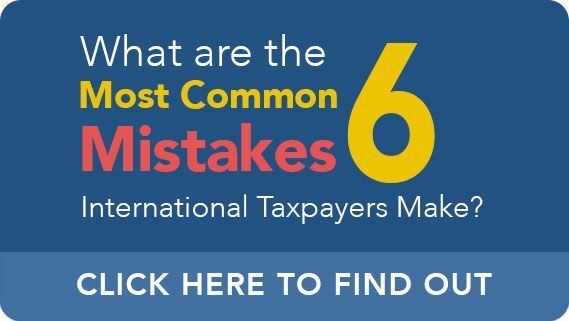 Unfortunately, despite their best efforts, many taxpayers make potentially serious errors regarding income tax, FBAR, FATCA, and other tax obligations. CPA Ted Kleinman has helped expats make sense of taxes and comply with all aspects of the U.S. Tax Code for more than 30 years. To discuss how Ted can help expats achieve or maintain compliance with all tax obligations, call U.S. Tax Help today at (541) 923-0903 or contact Ted online today. When potential clients call or contact U.S. Tax Help online, many individuals are interested in learning more about the process and tax forms that will likely be part of their tax return or offshore account disclose compliance. In the interests of providing a general background, Ted has prepared a brief summary regarding many common tax forms utilized by expats. However, this information is general in nature and taxpayers should consult with a CPA or other tax professional prior to taking any action. Schedule A – Taxpayers may choose to itemize certain foreign expenses and taxes paid on Schedule A. Doing so may ultimately reduce the individual’s tax liability. Schedule B – If you hold a foreign account, entities, or offshore trusts it is highly likely you will need to complete Schedule B. The failure to disclose these accounts can result in tax penalties. Schedule C – Self-employed expats living and working overseas are likely required to complete Schedule C of Form 1040. Completing Schedule C can assist a taxpayer in determining if he or she is eligible for a Tax Totalization Agreement that may offset or eliminate the need to make FICA payments. While IRS Form 1040 is the main tax form that taxpayers are familiar with, there are an array of other forms that may be required to be filed by an expat. Many expats living abroad are interested in determining whether they can qualify for tax credits and exclusions that would reduce their taxable income. Reducing one’s taxable income through these exclusions and tax credits is appealing, but taxpayers must ensure that they meet all requires before making claims for these tax benefits. Furthermore, claiming tax credits and exclusions is frequently a necessary step expats must take if they intend to reduce the potential for “double-taxation.” That is, the United States is the only developed nation that taxes on the basis of citizenship. 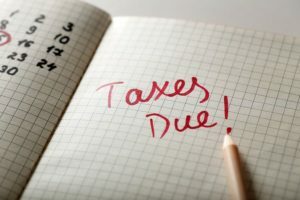 When American expats earn money abroad, they may face the prospect of paying taxes to the country where the income was earned and to the United States. In the case of the Foreign Earned Income Tax Exclusion (FEIE), taxpayers must ensure that they are able to satisfy a two-pronged test. First, they must show that they are a bona fide resident of a foreign nation or jurisdiction outside of the United States. Depending on one’s citizenship status this may be accomplished by spending one full and uninterrupted tax year abroad or by satisfying the substantial presence test. The second prong that must be satisfied is the taxpayer must be able to show that he or she has established a foreign tax home. Showing that one has established a foreign tax home is often premised on factors like the taxpayer’s principal place of business and where he or she receives official tax documents. The Foreign Tax Credit is another means through which expats can reduce their tax burden and mitigate or eliminate the potential impact of double-taxation. The Foreign Tax Credit allows individuals to claim credit for taxes paid to a foreign government. Taxpayers can claim tax credit for taxes paid on income earned through employment or self-employment. Taxpayers are also permitted to take credit for unearned income earned through capital gains, dividends, rent, or interest. Taxpayers living in nations with high-income tax rates, are often helped the most by this tax credit. In recent years, the IRS and U.S. government have focused significant attention on U.S. taxpayers who hold foreign accounts and foreign assets. These taxpayers must generally complete both FBAR and Foreign Account Tax Compliance Act (FATCA) disclosures to maintain their compliance with all tax laws. Taxpayers who fail to disclose their covered foreign accounts and assets, even when the non-disclosure is unintentional, can face significant penalties. For instance, even an accidental failure to file one’s FBAR can result in a penalty of up to $10,000 per a year where an account went unreported. When the IRS believes that the conduct was willful, even harsher penalties can apply. Similar penalties apply for failures to comply with FATCA. Therefore, ensuring compliance is extremely important. To satisfy one’s FBAR obligation, taxpayers must file FinCEN Form 114. FinCEN Form 114 is only available online through the Bank Secrecy Act’s web portal. Taxpayers are required to complete FinCEN Form 114 anytime their foreign assets exceed $10,000 in a tax year. It is irrelevant whether you hold or control more than $10,000 in covered foreign assets for a moment or for the entire year. The fact of the matter is that surpassing this threshold for any amount of time will trigger an obligation to complete and file FinCEN Form 114. As for satisfying the FATCA obligation, taxpayers are required to file IRS Form 8938. For a taxpayer to maintain compliance, he or she may need to disclose certain accounts or assets twice – in both and FBAR and FATCA filings. However, determining whether a taxpayer has an obligation to file FATCA is generally more complex than determining the same for FBAR. This is because, unlike with the FBAR obligation, there is no single filing threshold. Rather, the amount of foreign assets a U.S. taxpayer can hold before being required to disclose is calculated on the basis of residence and marriage status. Generally speaking, married taxpayers filing as such while living abroad can hold the greatest amount of assets before a duty to disclose is triggered. U.S. citizens and taxpayers who own a foreign business will likely need to familiarize themselves with an array of additional tax forms. For example, IRS Form 5472 may be applicable for certain U.S. corporations that are at least 25% foreign owned. If the taxpayer has formed another type of foreign business entity he or she may need to file alternate forms. For instance, the owner of a “disregarded entity” would be required to file IRS Form 8858. If the entity is classified as a partnership, then IRS Form 8865 would likely need to be filed. If the individual is engaged in transfers of assets to and from the company, certain transfers may need to be disclosed via an IRS Form 926 filing. If you are an expatriate living abroad and have concerns about your U.S. income taxes, business taxes, or offshore disclosure duties CPA Ted Kleinman can help. Ted can assist expats with all of the tax forms and obligations addressed on this page and many others. To discuss how Ted and U.S. Tax Help can work to take the anxiety, guesswork, and confusion out of satisfying your U.S. tax obligations, schedule an appointment.